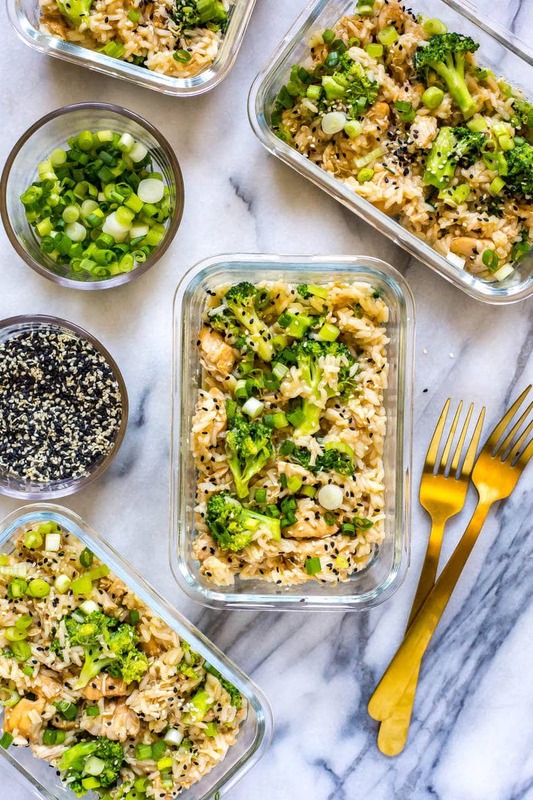 These Instant Pot Honey Garlic Chicken Meal Prep Bowls are a delicious make ahead lunch idea that comes together in one pot - and the sweet and sticky sauce is to die for! Add olive oil, chicken, soy sauce, honey, rice vinegar, garlic and 1/2 cup water to Instant Pot in that order. Cook on high pressure for 4 minutes then do a quick release of the pressure. Instant Pot will take about 15 minutes to preheat then pressure cook the 4 min. Meanwhile, cook the rice in a rice cooker according to package directions and and mix the cornstarch with cold water. Open lid of Instant Pot and add the cornstarch slurry, then the rice and broccoli. Mix together well then let sit with the lid on for 5 minutes. Serve and enjoy!